NEWS – Well, this is an interesting bit of news. Apparently the long-standing riff, feud, or whatever you want to call it between the two largest tech industry power players Amazon and Apple may be softening. The news is that starting next month (December 17th, 2018), you’ll be able to play Apple Music on Amazon Echo smart speakers and devices. How’s that for an early Christmas present to Echo owners? Soon you’ll be able to say “Alexa, play Post Malone on Apple Music”. If you’re not sure what Apple Music is, it’s Apple’s own paid streaming music service like Amazon’s Music Unlimited, Spotify, or Pandora. Yes, you have to pay for it. Prices start at $4.99 for students and goes up to $14.99 a month for families but you can get a free 3-month trial. Until now, or on December 17th to be exact, access to the Apple Music service hasn’t been possible through Echo devices. If you don’t have an Amazon Echo device yet, you’re in luck because you can buy the 3rd generation Echo Dot for only $29.99 right now which would make a great stocking stuffer. You can read more about this announcement on Amazon’s blog and thanks to Doug F. for the news tip! Thanks for this post, Julie. The question I have ben trying to answer since learning this news is how using the Apple Music skill on multiple Echo devices will count against the allowed number of devices on an Apple Music family plan. 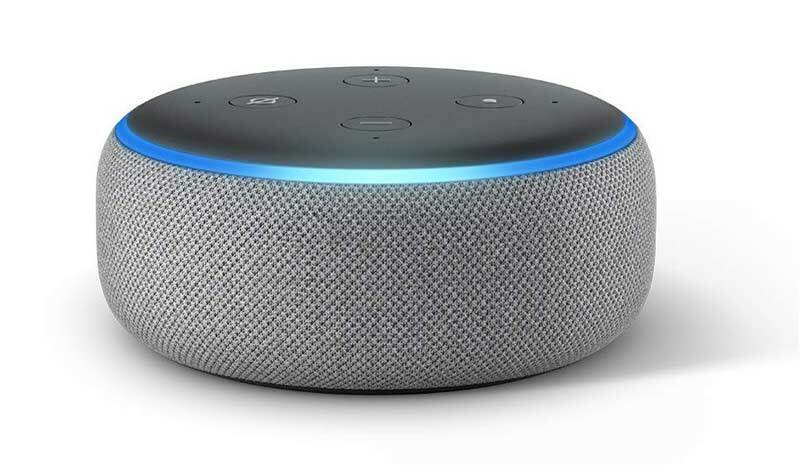 So for example, if the family plan allows you to use your subscription on six devices and I have three Echo Dots, would they count as three devices or one? Does anyone know the answer to this? Will it be compatible with Apple’s AirPlay2 and thus sync with other Apple devices (such as AppleTV, HomePod) throughout the home?? As far as I understand, this new Amazon Echo feature has nothing to do with connecting/syncing music between Amazon and Apple speakers. This will just be a way to listen to Apple Music on Amazon Echo devices.